If anyone can claim to be an expert on filth, it’s John Waters. The Pope of Trash, Waters has built his career by wallowing in the tawdriest of subject matter, never letting something as silly as a taboo or social stigma get in the way of a good joke or a profound truth. This Filthy World, Waters’ one-man show, is his attempt to open our eyes to the glories of the gutter. For an hour and a quarter, he’ll regale his audience with tales from his long and debauched career as a filmmaker, writer and artist, touching on everything from fashion to true crime, philosophy and rock ‘n’ roll. No topic is too sacred and no idea too profane as Waters rants about the things he finds shocking and amazing while spinning stories as only he can. If that weren’t enough, This Filthy World will wrap up with an audience Q&A. Are you burning to find out what went on behind the scenes of Pink Flamingos? Do you need Waters’ sure-to-be-unique take on current events? Don’t miss your chance to ask him in this hilarious, thought-provoking performance. $55 VIP Package - Includes: Preferred Seating, ”Role Models” Book, Limited edition artist poster by Silas Kaufman. $5 Discount for CUFF Members & Students. Discounted tickets available at Frosst Books. 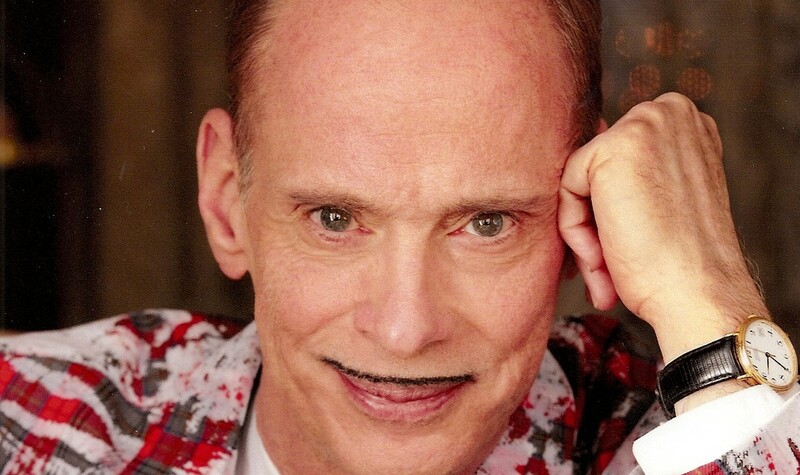 "Most amazing is that although he serves up one inside story after another as he summarizes his eclectic career, the material registers even if you haven’t seen any of his movies, or if you know only Hairspray"
"As well as being a cult movie legend, John Waters turns out to be an excellent stand-up comic and all-around raconteur"